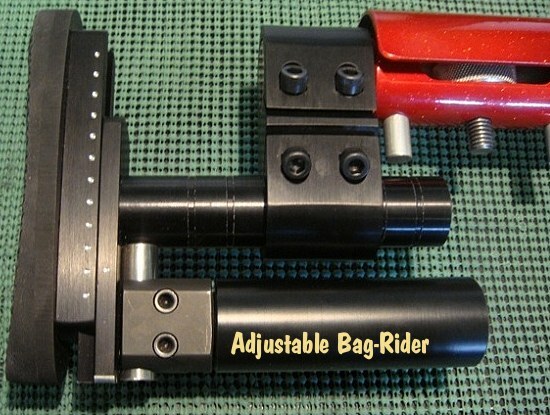 Just how accurate can a 6BR Tubegun be, when shot from the bench with bag-riding attachments? 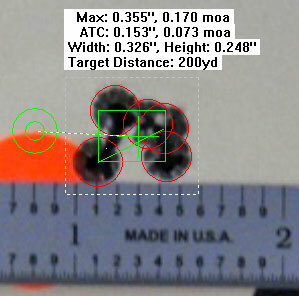 Would you believe 0.170 MOA at 200 yards? 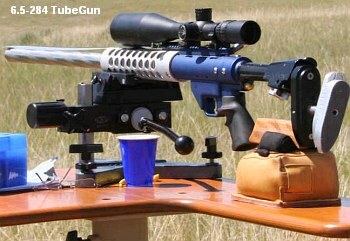 Yep, that’s benchrest-grade accuracy out of an across-the-course rifle. Share the post "Impressive Accuracy with 6mmBR Tubegun and Bergers"
Chris’s primary long-range rifle was his 6.5-284 Tube-gun (photo above) running 130gr Berger VLDs at 3165 fps. Chris reports the 130s can be shot at 3165 fps with no excessive pressures, and “scary, one hole, 5-shot 100-yard group accuracy.” With a B.C. 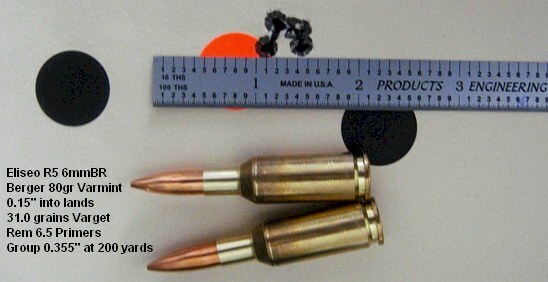 of about 0.6, the 130s shoot flatter and exhibit less wind drift than the 140gr class bullets at 2950 FPS. CLICK HERE to read the complete story. 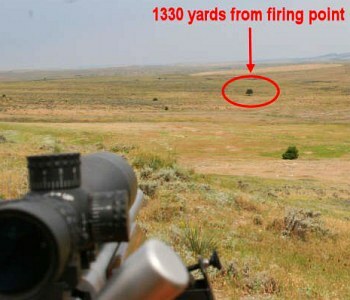 It contains more load data, details of hits made out to 1330 yards, and many great photos of the Wyoming scenery. For .260 AI and 6 Dasher tech tips, visit TechShooter’s Shooting Pages. Photos and quotes copyright © 2007 Chris Long, All Rights Reserved, used by permission. Share the post "TechShooter's Black Hills Prairie Dog Adventure"